IIC: Lecture: David Clayton, "What do Catholics believe about icons?" LECTURE: DAVID CLAYTON, "WHAT DO CATHOLICS BELIEVE ABOUT ICONS?" 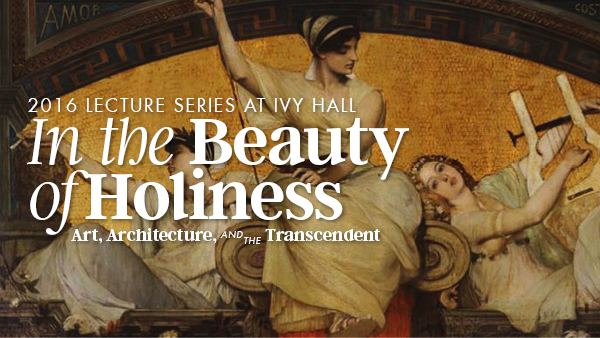 Join us for this, the second of a series of lectures for 2016, entitled "In the Beauty of Holiness: Art, Architecture, and the Transcendent". What Do Catholics Believe about Icons? Commonly described as 'windows to heaven', icons have enjoyed a growth in popularity in the western Catholic Church in the last 50 years, although they are still associated most strongly with the Eastern Church and the Eastern Rite. In this lecture, David Clayton describes the theology of icons; what precisely makes them worthy of veneration; and where and when this theology was developed. He will address the myths and the mystique that are associated with icons and consider the place of the icon in the Roman Rite. In doing so, he will deal with some commonly asked questions about icons, such as: is the icon superior to traditional Western forms of liturgical art such as the Baroque or the Gothic? Is the person depicted present in the icon in a way analogous to the Real Presence of Our Lord in the Blessed Sacrament? Does the artist 'write' icons or does he 'paint' them? And, does the artist have to fast and pray before working? David Clayton is an artist, writer and teacher who grew up in England and is a graduate of Oxford University. He is Provost of Pontifex.University, a new education platform dedicated to the Catholic intellectual tradition, for which he has been charged with designing a program and recruiting teachers that will deliver a traditional formation in beauty. He is Visiting Fellow at Thomas More College of Liberal Arts in New Hampshire. 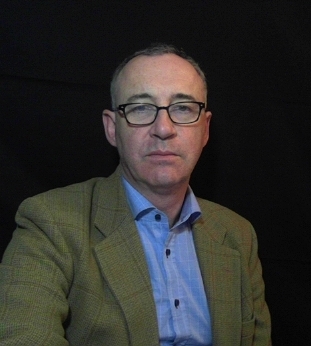 As well as having an international reputation as a painter, with major commissions in both the UK and the US, he is a regular contributor to the New Liturgical Movement website, and has published many articles and two books about sacred art and culture and their connection to the liturgy. His latest book, The Way of Beauty - Liturgy, Education and Inspiration for Family, School and College was published in July by Angelico Press. In The Way of Beauty, David Clayton offers us a mini-liberal arts education. The book is a counter-offensive against a culture that so often seems to have capitulated to a ‘will to ugliness.’ He shows us the power in beauty not just where we might expect it — in the visual arts and music — but in domains as diverse as math, theology, morality, physics, astronomy, cosmology, and liturgy. But more than that, his study of beauty makes clear the connection between liturgy, culture, and evangelization, and offers a way to reinvigorate our commitment to the Good, the True, and the Beautiful in the twenty-first century. I am grateful for this book and hope many will take its lessons to heart. Since the good, the true, and the beautiful are a manifestation of the Trinity, it is always a grievous fault to leave beauty out of any discussion of the relationship between faith and reason. This being so, I am thrilled at the way David Clayton illustrates how beauty stands in eternal communion with the good and the true. In spite of the great proclamation that the sacred liturgy is the font and apex of all we are about as Catholics, fifty years after the Council we still seem far from seeing and living this truth in all its fullness. Drawing upon years of experience as artist and teacher, David Clayton thoroughly unpacks this truth and shows, with an impressive range of examples, how it can and should play out every day in our schools, academic curricula, cultural endeavors, and practice of the fine arts. His treatment of the ways in which architecture, liturgy, and music reflect the mathematical ordering of the cosmos and the hierarchy of created being is illuminating and exciting. The Way of Beauty is a manifesto for the re-integration of the truth laid hold of in intellectual disciplines, the beauty aspired to in art and worship, and the good embodied in morals and manners. Ambitiously integrative yet highly practical, this book ought to be in the hands of every Catholic educator, pastor, and artist. For more information on Mr. Clayton's work, please visit his website.